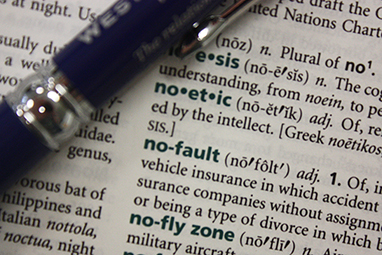 You may have heard the term “No-Fault insurance”, or perhaps you live or have been in an auto accident in a state where the No-Fault law applies. What does this term actually mean? No-Fault insurance means that your own auto insurance carrier takes care of costs that were incurred as a result of an injury sustained in an auto accident (e.g., medical bills, wage loss, replacement services claims). Your insurance carrier pays the benefits without regard as to who may be at fault for the accident. These benefits are first-party or policyholder benefits and may also be referred to as Personal Injury Protection coverage or “PIP” for short. This coverage is mandatory in most No-Fault states. There are currently 12 states that have No-Fault insurance with benefits ranging from $3,000 in medical expense (Utah) to unlimited medical benefits (Michigan). No-Fault benefits typically include a set amount for payment of reasonable expense of necessary medical treatment, in addition to benefits available for wage loss, replacement services, funeral and burial expense, and survivors’ economic loss benefits. Depending on the state law, there may be additional or fewer benefits available to the injured party. If you have any questions about your insurance coverage, contact your Independent Insurance Agent.